Kansai is one of my favorite regions in Japan; it has a bit of everything, history, culture, shopping and food. There's plenty of things to do that will fill your itinerary. One of the ways to explore this part of the country is to get a Kansai Thru Pass. The Kansai Thru Pass is one of many tickets visitors can use to explore the region. There are 2 and 3 day passes available for JPY4000 and JPY5200 respectively. 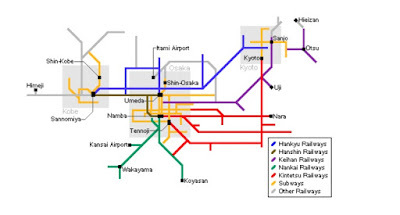 The pass allows you to use trains, buses and subway lines in the region with the exception of JR trains. All you need to do to activate the pass is to put it in the machine at the train station. Once you do so, that's when the validity period starts. You don't have to use the pass on consecutive days, you can skip a day and still use it. If you're trip is for 5 days, you can use the pass on every other day (for the 1st, 3rd and last day). What Are the Benefits of Using the Kansai Thru Pass? You can use it not just for intercity or region trips (ex. 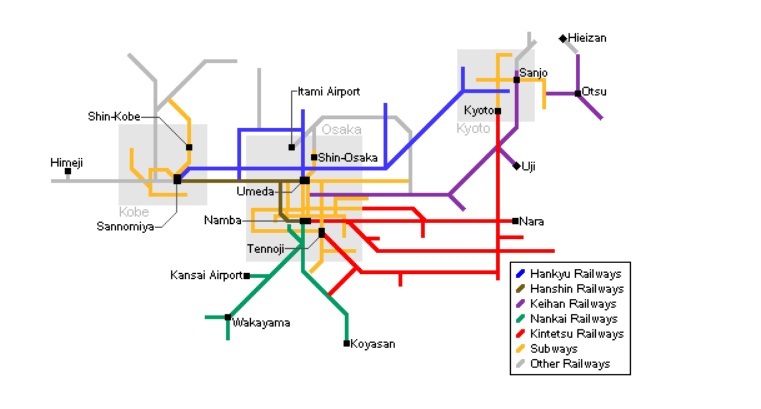 Osaka to Himeji), but also for subway and bus lines within a place. This means, you need to use just one ticket and not buy a different one when traveling around the region. Unlimited use of certain subway, train and bus lines. Discounts for certain attractions in the region. Good value for money because of the places you can visit with it. Valid for airport train ride to and from the city. You can pick up the pass at the Kansai Airport, tourist centers and the Nankai ticket office. You can also get one at the stations of Namba, Osaka and Hankyu Umeda. Exploring Osaka is easy with the pass; you can visit Osaka Castle, Shinsekai, Dotonbori, Shitennoji Temple and Minoo Park. Kyoto is another popular destination you can add to your itinerary with this pass. Show your pass at bus stations or use it in the subway to reach your destination. The above places are just some of the stops I visited using the Kansai Thru Pass, there are other noteworthy destinations you can include in your itinerary. You can add or remove places in your itinerary based on interest, time constraints and pacing.